Sickness is a terrible thing, and we’ve all faced it in some way in our lives. But there is something worse than just being sick—and that is to be sick and wonder if it’s God’s will for you to be well. If you’re sick, you may be asking yourself: Why has this happened to me? Doesn’t God care that I’m sick? Does He even want me healed? 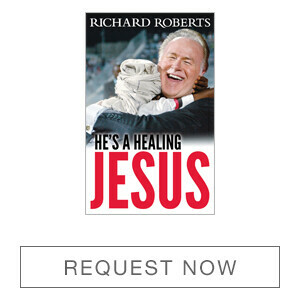 The best Bible picture of God’s desire to heal people is Jesus. By studying Jesus, we can see a clear picture of what God is like. As the Gospels describe the ministry of Jesus, it seems Jesus was always either on His way to heal someone, or He was there in the process of healing someone, or He had just finished healing someone. This tells us that God is a healer by nature. Healing is a part of who He is. Matthew 14:14 is a good illustration of the healing ministry of Jesus: “And when Jesus went out He saw a great multitude; and He was moved with compassion for them, and healed their sick.” Jesus was and still is moved to heal because of His love and mercy for you and me. When He sees people sick, He wants them to be well. 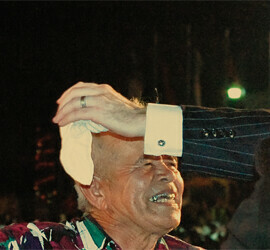 His entire life on earth was devoted to seeing people healed and made completely whole—spirit, soul, and body. Acts 10:38 says, “God anointed Jesus of Nazareth with the Holy Spirit and with power, who went about doing good and healing all who were oppressed by the devil, for God was with Him.” Remember, Acts 10:38 says He went about to heal “all who were oppressed by the devil.” This reveals what sickness really is. It’s not a blessing from God to teach us something. Nor is it a punishment from God. 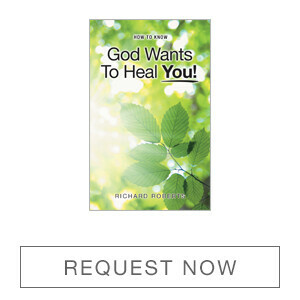 If God were the source of sickness, then He wouldn’t have sent His Son Jesus to bring us healing. Don’t think for a moment that God has caused you to be sick. Sickness is not from God. It’s not a fact of life that God expects us to accept and live with. No, sickness comes from the devil, who uses it to steal our potential to do good things in life. And God is a good God, who loves us and wants us to be healthy. God wants us to fulfill our potential in life. The truth is, God sent Jesus because He wants us well. And He wants us healthy in every area of life. He wants us healthy spiritually, physically, emotionally, financially, and in our relationships. He is unlimited in His power, and completely able and willing to heal us. Once this truth saturates your mind and heart, you will be on your way to knowing, beyond the shadow of a doubt, that Jesus wants to heal you.